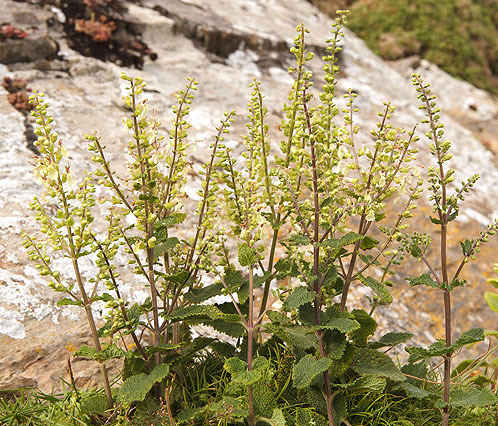 "Teucrium Scorodonia" . Very Crinkly leaves which smell nice when crushed . Long protruding purple anthers stick out from pale creamy longish flowers. The plant resembles hops in taste and flavour. An infusion of the leaves and flowers is used as a hop substitute for flavouring beer .